Food In Focus: 3 Simple Tips on Sweetening Food for a Healthy Lifestyle! Use natural sugars! – All complex natural sugars such as honey, and maple syrup are healthy alternatives to using any kind of sugar or artificial sweeteners. They’re natural, and come from the Earth just like our fruits & vegetables, so incorporating these into your diet is always a better decision than using processed or refined sugars! Utilize nature’s candy! We all know that it isn’t necessary to pour sugar over our apples, strawberries, grapes, blueberries, or other fruits to make them sweet. Why? Because these foods are considered the “candy” of our produce! Use these natural sweeteners to add flavor to your meal instead of sugar; they can be used in a variety of foods such as salads, cereals, yogurts, or even smoothies and protein shakes. Run away from artificial sweeteners! Be mindful and aware that anything containing aspartame is not a healthy choice for sweetening your food or drink. Many scientific studies show that products containing aspartame can lead to seizures, blackouts, headaches, memory loss, blindness, nausea, and gastrointestinal disorders. That’s pretty serious! So put aside your packets, and choose natural sweeteners; your taste buds & your body will thank you! 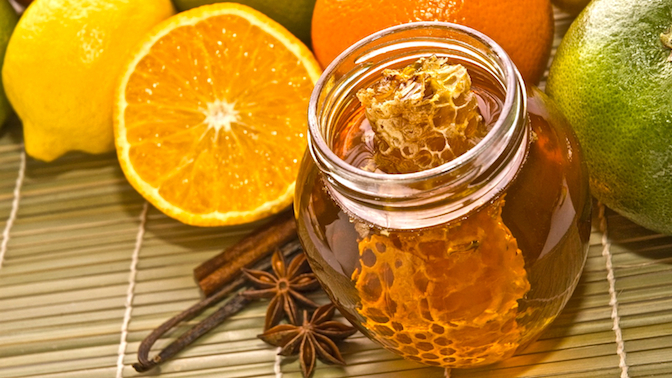 Tasty25 Health note: Honey should not be fed to children less than one year old because it can contain spores of Clostridium botulinum, the bacteria that causes botulism. Need naturally sweetened food & meal ideas? Check out our healthy & delicious recipes that were sent in from people all over the world by clicking HERE! Great advice. We’ve been doing a Sugar Busting series over our way as well. I’m really enjoying how much more delicious simple fruit tastes now that my taste buds have recalibrated. Yum! And just in time for spring and summer fruit! Thank your so much for welcoming me to the Tasty25 food conscious community! It is a pleasure! Reblogged this on Crystal's Whole Health. I like that you included Honey and Maple Syrup. It confuses me that so many people are anti honey when its a whole food. I also like using dates! They are super sweet and taste like brown sugar.